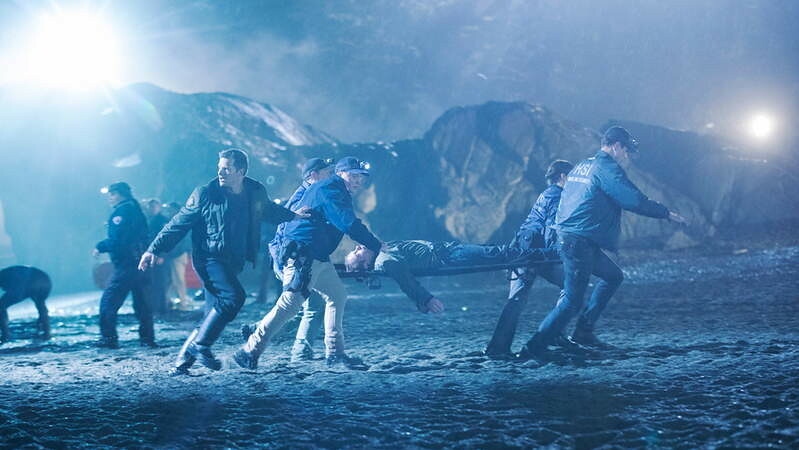 The Crossing is the new series from ABC Studios, the creators of Lost, proposing a great television mystery that has all the premises to conquer the public all over the world. 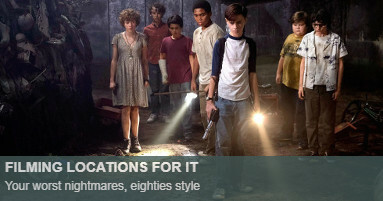 The enigmatic arrival of a wave of immigrants from the future, seeking asylum from a war-torn country, shakes a sleepy American fishing village to its core. The war from which they are fleeing has not yet happened. As the government tries to find out the truth about the 47 survivors, a new threat looms over the horizon. 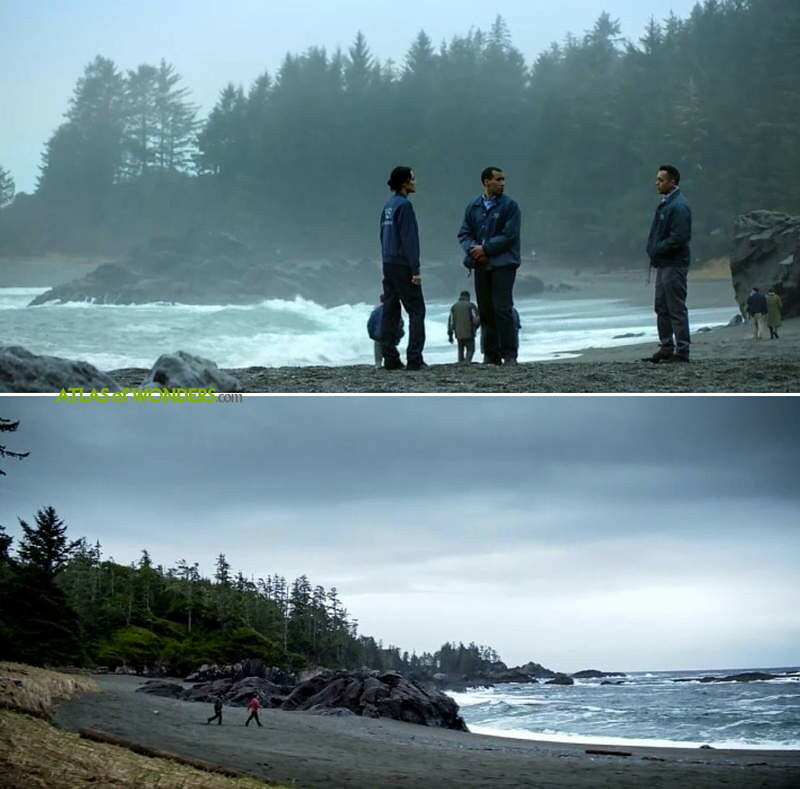 The bay where the refugees arrive (Thorn beach), was filmed somewhere in Ucluelet area (west coast of Vancouver Island). Doing some research we concluded that it must be Wya Point beach along the Pacific Ocean. 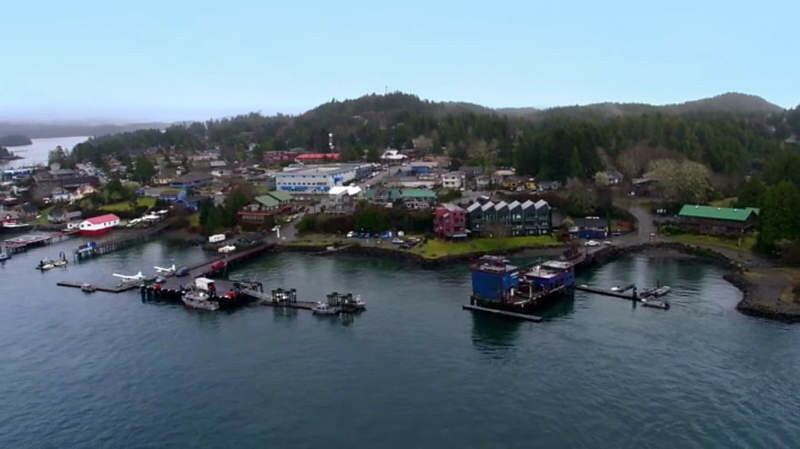 The low-flying aerial shots of the town are from Tofino, on the beautiful west coast of Vancouver Island. 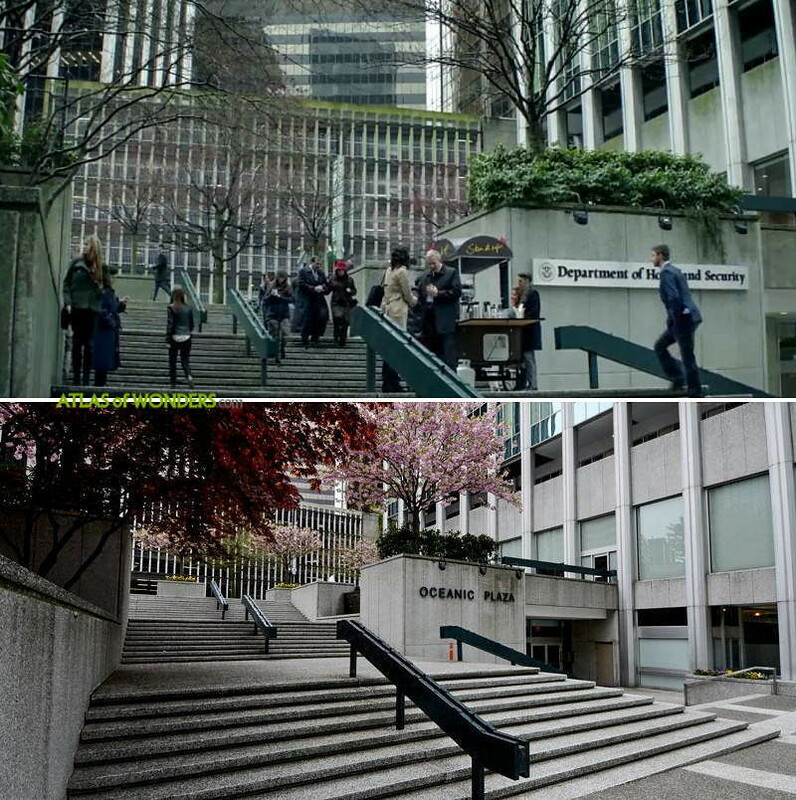 Oceanic Plaza in downtown Vancouver was transformed into the Department of Homeland Security in Seattle. 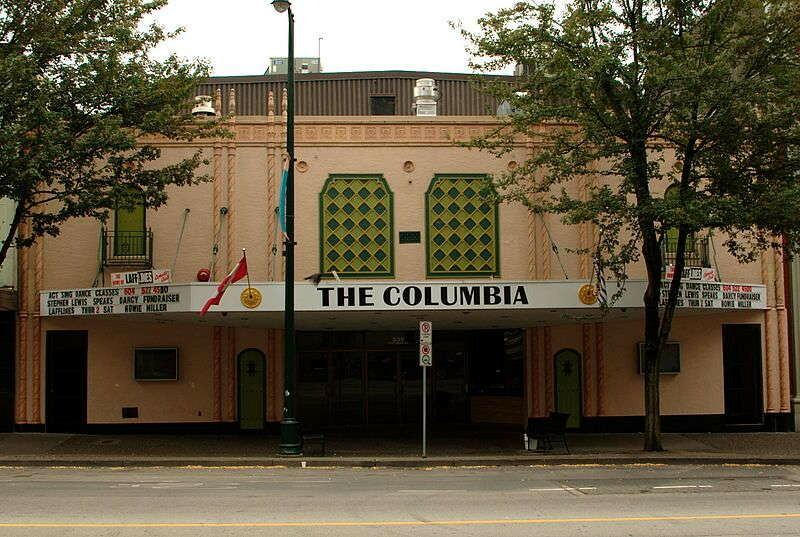 Some more scenes were filmed at Deacon's Corner on Main Street and Vancouver Art Gallery. 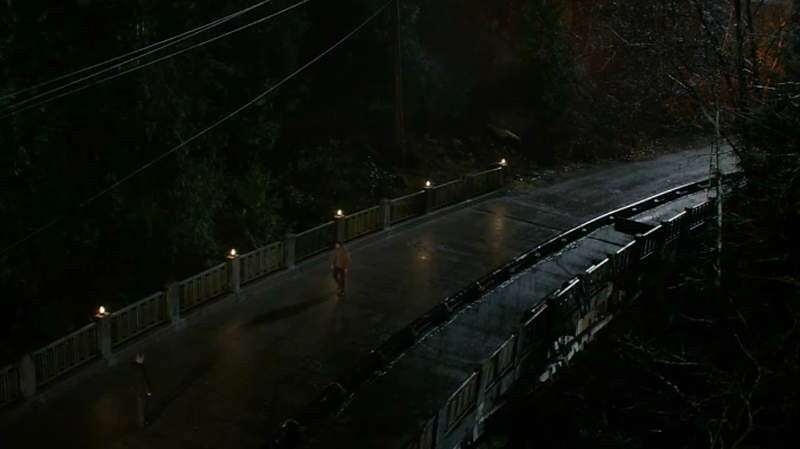 The dark bridge from the first episode was filmed at the old Whistler highway at Nelson Creek. 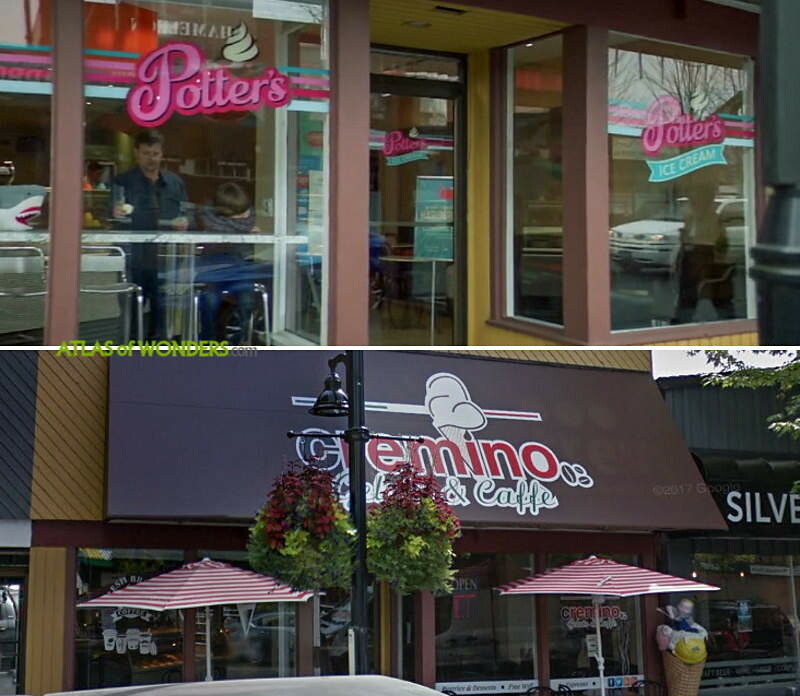 Potter's Ice Cream from episode 3 is actually Cremino Gelato in Maple Ridge. 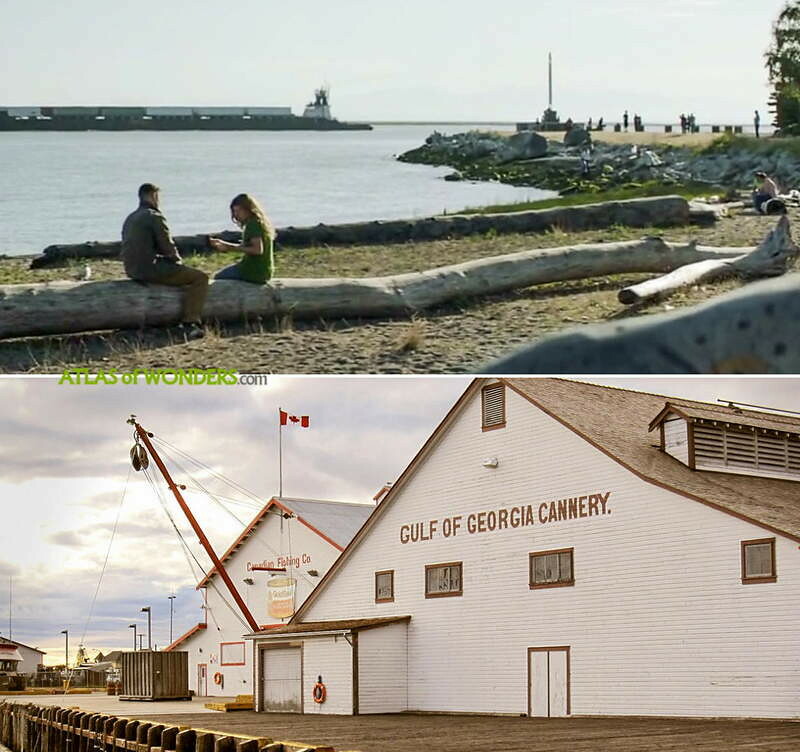 Also according to Whatsfilming.ca, The Crossing filmed scenes at Whytecliff Park and Sunset Marina (West Vancouver), Boundary Bay Airport, Lynn Canyon Park (North Vancouver) and Widgeon Park outside of Coquitlam. 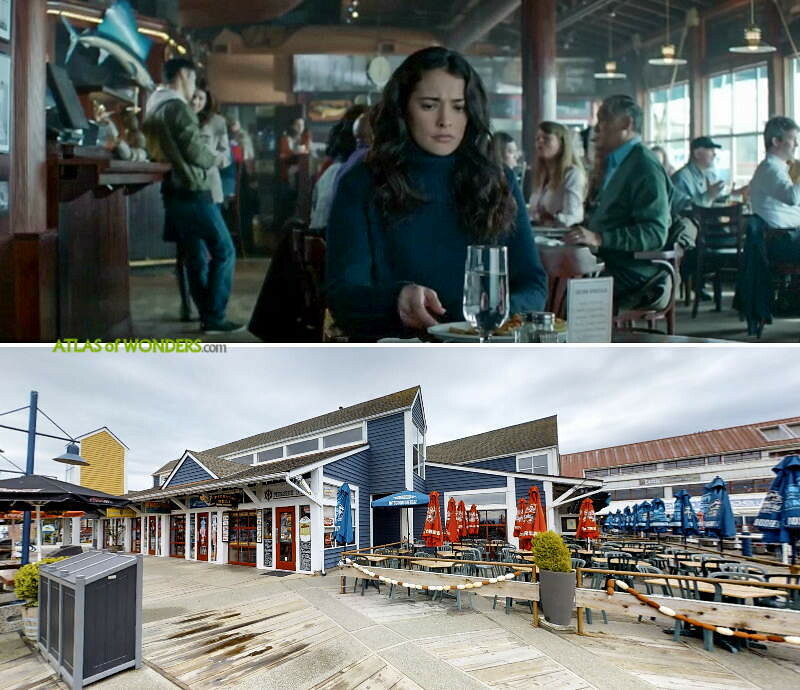 Can you help to improve this article about the filming locations of The Crossing? To complete and correct this report, any feedback, info or images that you may have are more than welcome, thank you! No definitely not a Seattle. The picture stated as Cypress Mountain is actually called the Lions, see the 2 ears...which our local Canadian football team, the BC Lions, is named after. It's not actually filmed on Cypress mountain. 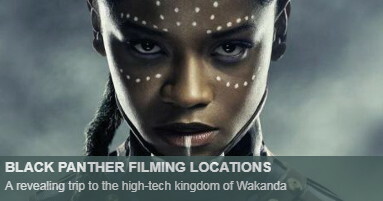 It's filmed on Hollyburn mountain at First Lake. Yes, it is the same mountain as Cypress bowl ski resort, but there's no Cypress mountain in the resort. The actual Cypress mountain is farther north. 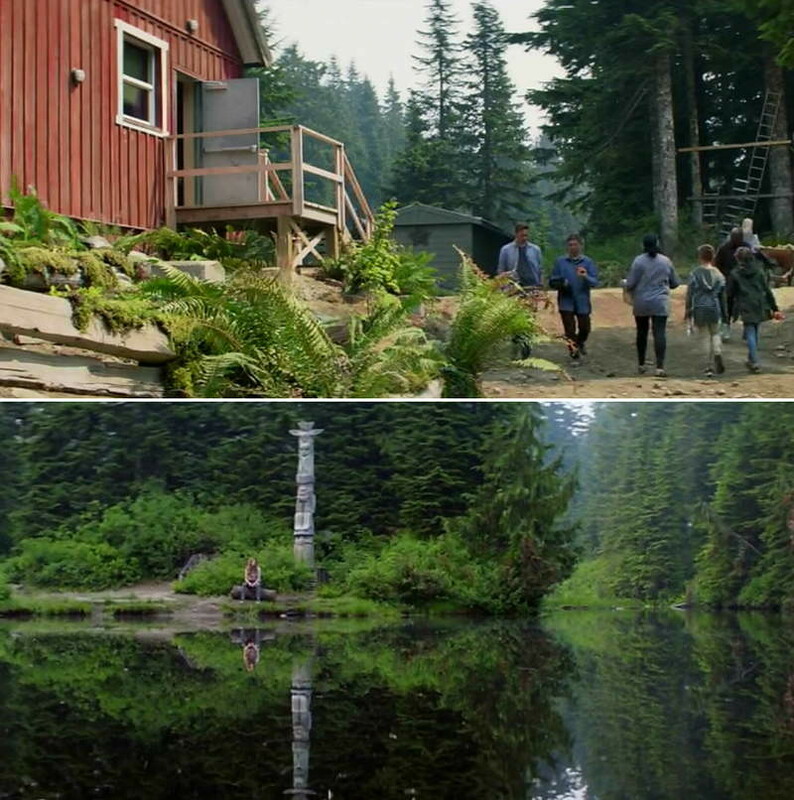 Anyone who wants to go to where they filmed the camp has to go to First Lake (and Hollyburn lodge) on Hollyburn mountain. There are a bunch of hiking trails and plenty of cabins up there, including one my partner's family owns. The dark bridge scene is the old bridge on the old Whistler highway at Nelson Creek. 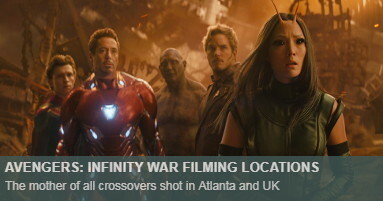 Thanks, do you know the exact location on Google Maps? Not many film companies come to Washington State anymore because of the amount of money they have to pay the state. 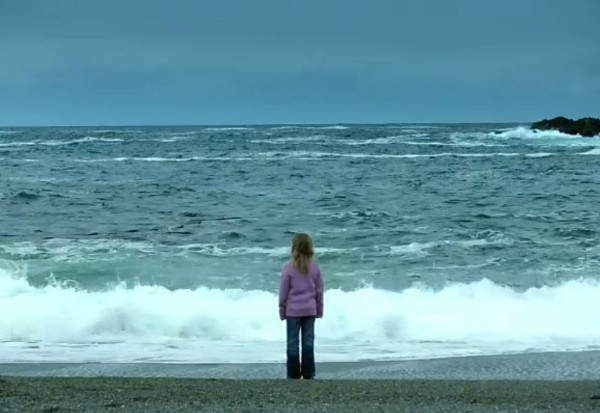 Filmed also in Tofino. 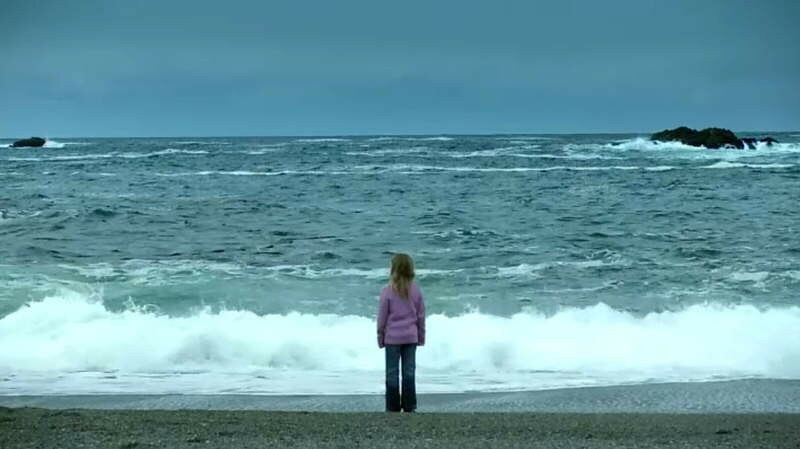 Or at least the the fly over shot in tonight's episode (same view as the last picture in the above article) is Tofino. Cool, thanks a lot Rob! Potter's Ice Cream is actually Cremino Gelato in Maple Ridge. Are you sure the refugee camp isn't the scouts camp in Surrey? I thought it looked like Camp McLean as well. 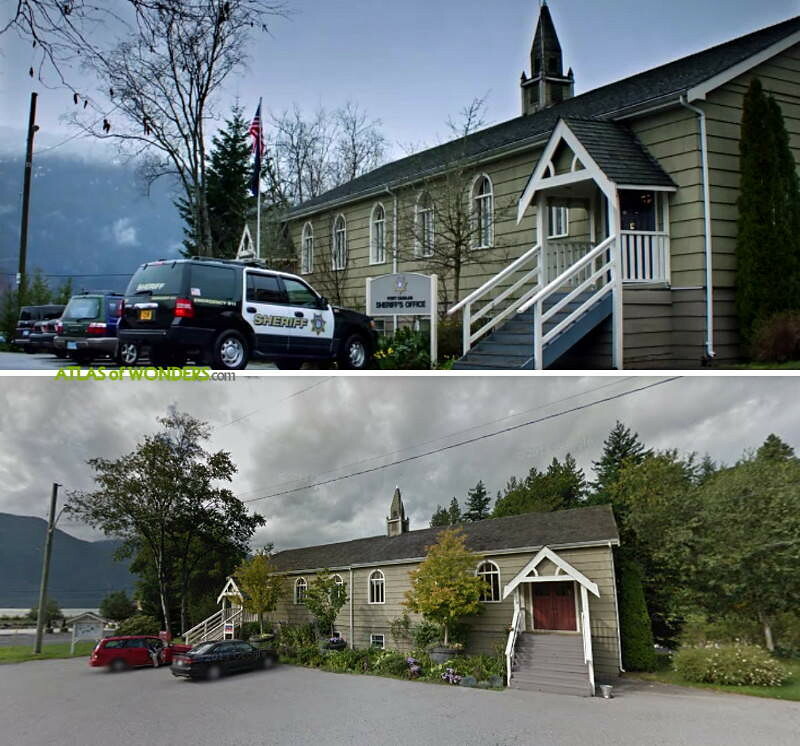 Part of the camp scenes were filmed at Camp McLean, a Fraser Valley Council Scouts Canada property in South Langley (the cabin, the outdoor chapel, some of the lodge). The aereal shots look like Hollyburn Lodge in Cypress Provincial Park (Cypress Bowl). Thanks a lot for your help. Have you been in Camp McLean? Are you 100% sure of this? God the house in the most recent episode where the people from the first migration meet looks super familiar to me but I don’t know why. Anyone know if it’s been used in other shows or what? 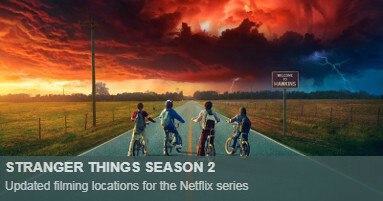 Thought part of e04 was Cowichan Delta. Where were the Oakland scenes filmed? I actually live in Oakland, and I know where 85th and Mac are. Those are not what our buses look like btw, lol!